Alan Pontet has been driving since 1973, and all his working life has involved driving. 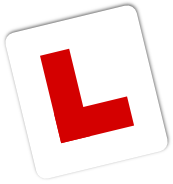 After 16 years of commercial driving, he qualified as an ADI (Approved Driving Instructor) and has been teaching the subject full–time since. 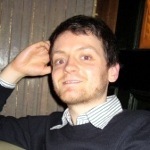 He is currently graded B — the second highest grade awarded by the DVSA as the regulator of driving instructor standards. 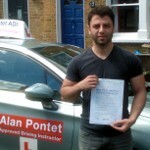 Alan lives in Crawley, and offers driving instruction throughout the town. Alan welcomes all standards of driver, from complete beginners to those wishing to improve their driving techniques. He offers flexible booking arrangements and a range of payment options. 1 hour, 1½ hour and 2 hour lessons are available. 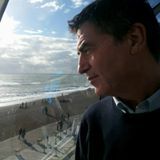 Bringing to you the benefits of his commercial driving and teaching experience, Alan’s technique puts you at the centre of your learning, enabling you to develop at your own rate and to make decisions about your course and your qualifying test appointments — see Benefits to You. Alan encourages you to see learning to drive as a life skill, especially in safe sharing of the road environment. He explains how and why we drive the way we do, including how we identify, assess, and manage risk associated with driving road vehicles. He further helps you by explaining in simple ways how cars work, and how they are likely to behave on the road depending upon how we drive them. Alan Pontet offers driving lessons in Crawley, Pease Pottage, Handcross, and the new neighbourhoods of Forge Wood and Kilnwood Vale. Alan is self-employed and works as a sole-trader – he is not, therefore, employed by anyone else and he does not employ sub-contractors for your driving lessons. If you message Alan, Alan responds and not someone else; if you book with Alan, Alan turns up and not someone else.